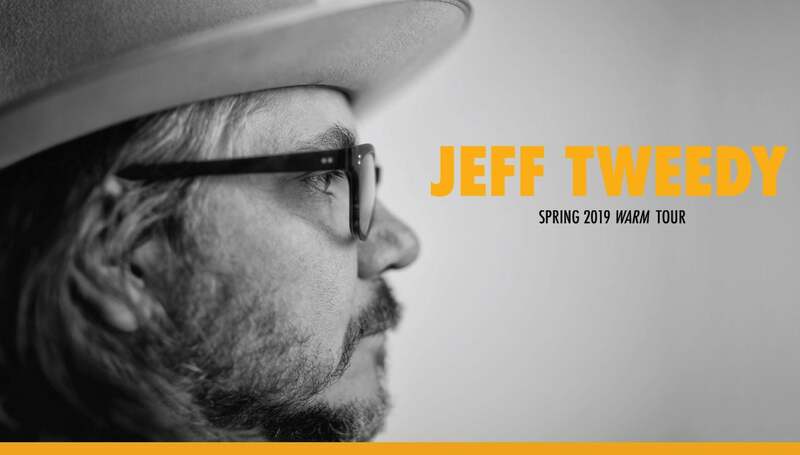 CINCINNATI, OH – Jeff Tweedy has just announced additional US tour dates in support of his album, WARM, released this past November via dBpm Records. His WARM Tour plays the Cincinnati Music Hall Ballroom on Wednesday, April 17, 2019 at 7:30 PM. The show is part of Cincinnati Arts Association’s 2018-19 Presenting Season. Tickets go on sale Friday, January 11 at 7:00 PM at www.CincinnatiArts.org, (513) 621-ARTS , and the Aronoff Center and Music Hall Ticket Offices. Additionally, Jeff Tweedy will appear on Jimmy Kimmel Live! on January 9, performing songs off WARM. Jeff’s last television appearance was on the Late Show with Stephen Colbert, shortly before the release of his intimate and wryly honest memoir (and New York Times Bestseller) LET’S GO (SO WE CAN GET BACK). Since then, he’s sold out an east coast and Midwest book tour, played four consecutive sold-out shows at Largo, and has garnered astounding praise for WARM, receiving “Best New Music” by Pitchfork and being included on many year-end lists such as Rolling Stone, Consequence of Sound, Wall Street Journal, and Aquarium Drunkard.